TOMMY’S HOUSE CONSISTS OF ALL VOLUNTEERS! Currently we do not have a designated building for our shelter, so we are working only with cats because of space constraints. We do hope that in the very NEAR future, we will have a space and at that time we will be able to accomodate other animals as well. Right now, we rely on FOSTER HOMES to care for our cats. 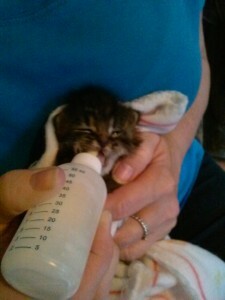 You could volunteer to foster a mother cat and kittens, special needs or senior cat. You could also help us at our many fundraisers. If you have a talent or skill that could help, or know of someone who does and would be willing to help out with a fundraiser, we would love your input! We also encourage young people to volunteer. Help out in one of our foster homes as a “cat hugger” (that means spend time with them, brush them and give them hugs!…it’s a rough job but someone has to do it!!) Do you need community service for school or scouting?